Here is a little sweetness to add to your day. 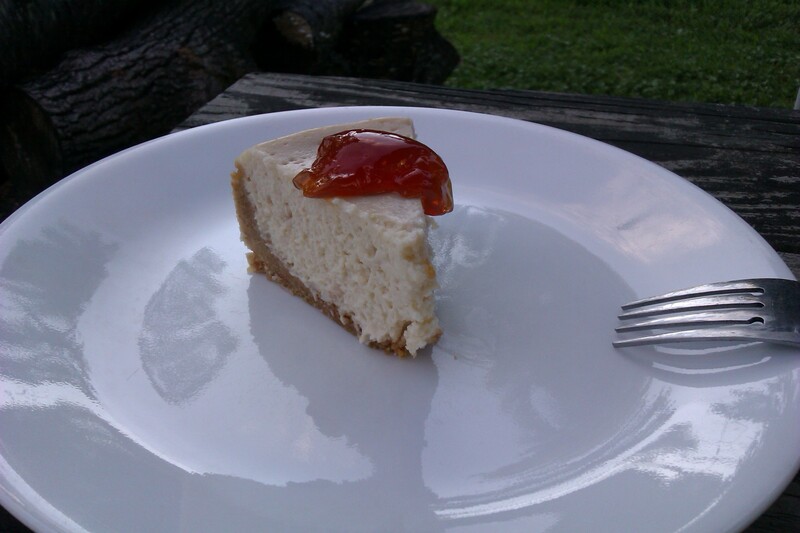 This past weekend I made a Guava Cheesecake from scratch. I have never prepared a cheesecake from scratch before and it was pretty simple. 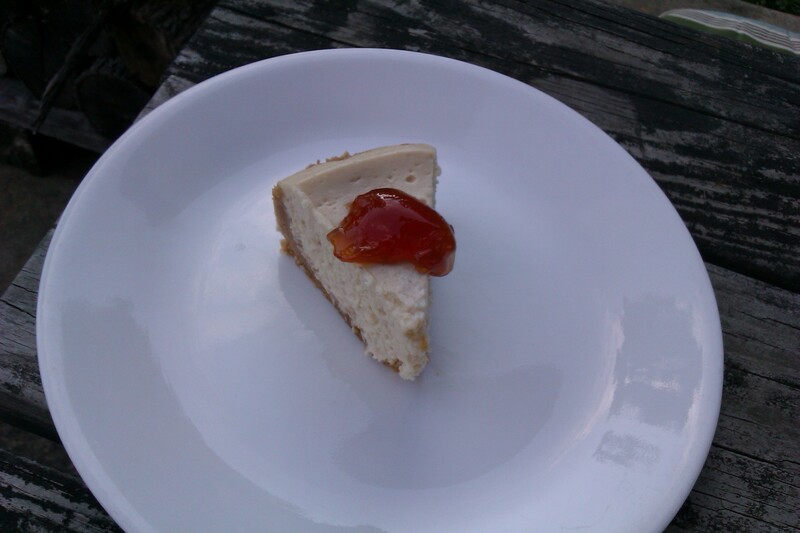 I figured a guava cheesecake would be something different than your typical cheesecake of blueberries and strawberries. There are so many different amazing fruits out there, so go wild and create your own fantastic cheesecake. I will post the recipe up and hopefully you will try it and like. In a mixing bowl, combine the ingredients for the crust with a fork. Lightly coat the bottom and sides of an 8-inch springform pan. Pour the crumbs into the pan and, using the bottom of a smooth glass, press the crumbs down into the base and 1-inch up the sides. Refrigerate for 5 minutes. In the bowl of an electric mixer or beater, beat the cream cheese on low-speed for 1 minute until smooth and free of any lumps. Add the eggs, 1 at a time, and continue to beat slowly until combined. Slowly add sugar and beat until creamy, for about 1 to 2 minutes. Add sour cream, lemon zest, and vanilla. The batter should be smooth and not overbeaten. Pour the filling into the crust-lined pan and smooth the top with a spatula. Set the cheesecake pan on a large piece of aluminum foil and fold up the sides around it. Place the pan in a large roasting pan. Pour boiling water into the roasting pan until the water is about halfway up the sides of the cheesecake pan; the foil will keep the water from seeping into the cheesecake. (This is the secret to an amazing cheesecake, placing it in a hot bath). Bake for 45 minutes. The cheesecake should still jiggle (it will firm up after chilling), so be careful not to overcook. Let cool in pan for 30 minutes. Chill in the refrigerator, loosely covered, for at least 4 hours the longer the better. Loosen the cheesecake from the sides of the pan by running a butter knife around the inside rim. Afterwords top it with some more guava jam. TIP: Before cutting cheesecake with a butter knife dip it in water after every cut. Sounds yummy, and not that tough. I wish I had an oven – I really need to experiment with pan-baked cakes. Guava, what a unique flavor.